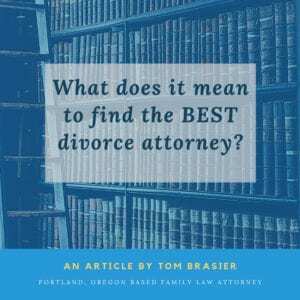 There are a lot of opinions about what makes a great divorce attorney. As you can imagine, there are a lot of different variables that go into a divorce. Divorce and custody cases are a dynamic, complex field of law mixing finances, care of children, and emotional harm. Sometimes issues like domestic violence and drug addiction come into play as well. For some other fields, finding the best attorney might be finding the most aggressive person you can afford. However, in divorces, often hiring the stereotypical “shark” can do far more harm than good to clients. Let me break this out into a few components of what to look for. 1. Communication is Key. Make sure your divorce attorney and you communicate well together. The first thing I suggest people look for in a divorce attorney is someone who they can communicate well with. In a divorce case, getting the job done is only part of the battle. In some ways the bigger challenge for us attorneys is ensuring that our clients understand, and can have a degree of comfort with the process. This hinges on good communication. It is important that you can understand what your particular attorney is telling you, and that you feel comfortable communicating with them. So much of the process of negotiating settlements and preparing for trial hinges on good communication. 2. The Divorce Lawyer Should be Knowledgeable. I suggest potential clients call around to several different attorneys and take advantage of most who offer free consultations. A short discussion with your potential attorney can quickly determine if they seem to know what they’re talking about. If your divorce attorney can’t effectively communicate the ideas and laws at play in the divorce case during the free consultation, then you may want to look elsewhere. Their inability to explain things to you likely means they don’t know what they’re doing, rather than you not being smart enough to understand them. 3. The Best Divorce Attorney Needs to be Able to Adjust to Your Case. A good family law attorney is a chameleon. Every case requires a different approach. Some cases require the attorney to be very nice and friendly, and work on a passive resolution. Other cases require an aggressive stance and a no nonsense approach to accomplish the client’s goals. Be wary of any divorce attorney who seems to be locked into just one mode of attack in your discussions with them. Finding an attorney who can help you determine your goals, then behave in a planned way to help accomplish those is an important characteristic. 4. Good Reviews of Divorce Attorneys. Look at your potential attorney’s online reviews. If you see a pattern of complaints and low ratings, it likely means your attorney can’t be trusted to work diligently for you. Don’t be too alarmed if you see a bunch of great reviews, then an odd complaint. In family law cases, every attorney gets some negative reviews, as we often deal with clients with mental illness or difficult personalities. If overall the pattern of reviews is very positive for your attorney, then you have a good indication there that you can trust them to do the job for you. 5. Big Law Firms Aren’t Always Best. Many people think about hiring the biggest firm they can get their hands on. Size doesn’t indicate success. Often times, the only difference between big firms and smaller, boutique divorce firms is the cost. If you want an attorney with their own floor of a downtown sky rise, just know they are paying for that cost. Often times, the big firms end up costing as much as 5 times what a smaller firm costs for what amounts to the same work. For some income brackets, this isn’t a problem. For others, it can mean you can’t afford to have the attorney finish your case even if they start it. Be sure to consider what is most important for you when planning the budget for your case. The best way to find the right fit for you is to call around. Don’t settle on the first attorney you speak to. Call around and find the divorce attorney who fits what you need before pulling the trigger and starting your case. Tom Brasier is an experienced family law attorney specializing is divorce, custody, and restraining orders. 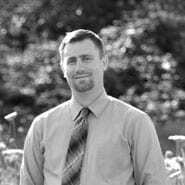 He practices in the greater Portland, Oregon and SW Washington areas. He also does uncontested divorce throughout Oregon and Washington. 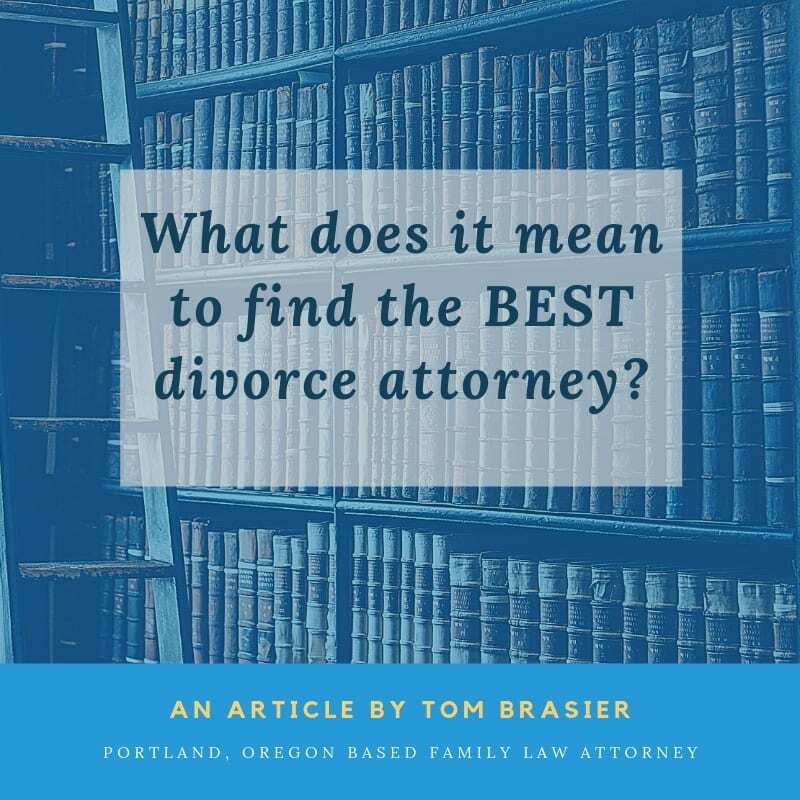 You can contact him at Brasier Law by calling 1 (503) 855-4777 or by using the contact form below.